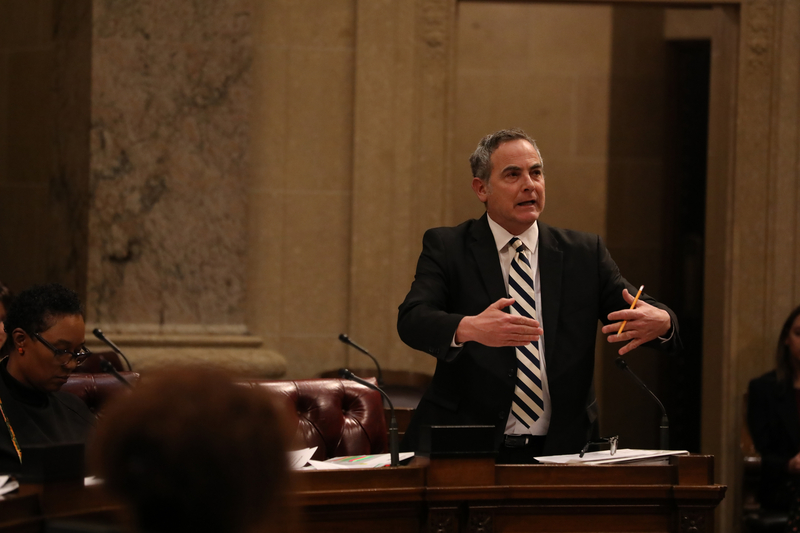 Over the span of three days, Wisconsin state legislators descended upon the state Capitol to debate a series of lame-duck bills put forth by Republicans in the final weeks of Gov. Scott Walker's term as governor. On both Monday and Tuesday, hearings stretched late into the night and into the wee hours of the morning. Early Wednesday, the Republican-controlled Legislature approved new limits on the power of Democratic Gov.-elect Tony Evers, including his ability to remove Wisconsin from a multi-state lawsuit challenging the Affordable Care Act. The bill also limits early voting in Wisconsin and gives state lawmakers more power over the state's economic development agency. 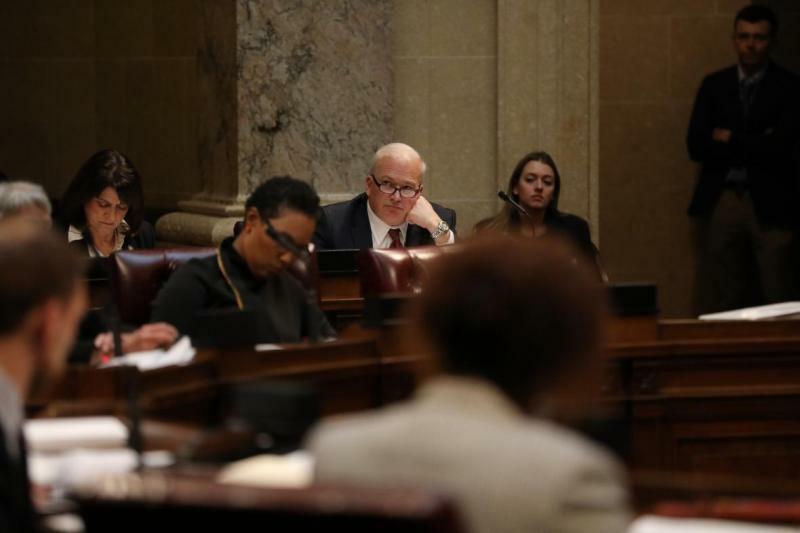 Shortly after 8 a.m. on Wednesday, the Assembly passed the bills — with a mostly party-line vote of 56-27 — clearing the way for them to head to Walker's desk for his signature. 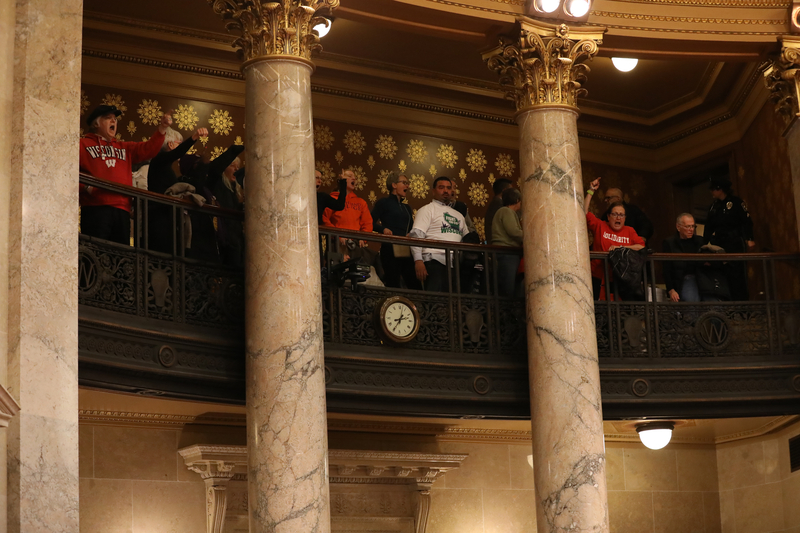 These photos give a sense of the feeling at the state Capitol, as legislators met, caucused and voted while protesters gathered to show their disapproval. 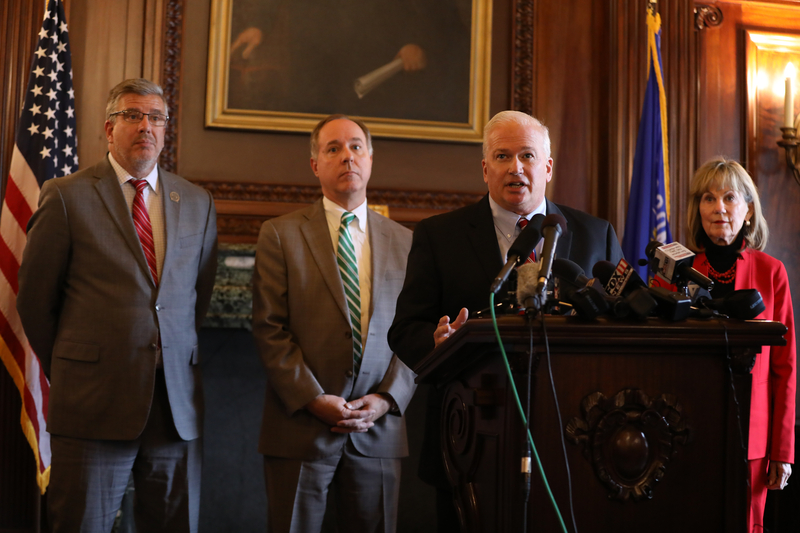 Rep. John Nygren, R-Marinette, left, Assembly Speaker Robin Vos, Senate Leader Scott Fitzgerald, and Sen. Alberta Darling, R-River Hills, give a press conference on Dec. 3, 2018, at the Wisconsin State Capitol ahead of the Joint Finance Committee public hearing. "Listen, I'm concerned. I think that Gov.-elect Evers is going to bring a liberal agenda to Wisconsin," Fitzgerald said at the press conference. "I don't have any problem highlighting that right now. I want people to understand that. That there's going to be a divide between the legislative and executive branch." Members of the public occupy an overflow room during the Joint Finance Committee public hearing on Monday, Dec. 3, 2018. Many gave testimony against the bills. Rep. Chris Taylor, D-Madison, asks questions during a public hearing of the Joint Committee on Finance, held as part of an extraordinary lame-duck session of the Legislature, on Dec. 3, 2018. 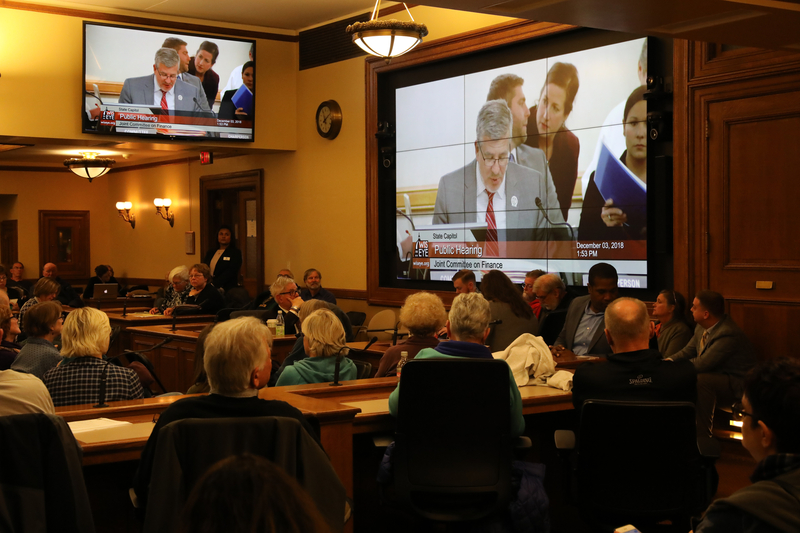 Public citizens testify against lame-duck bills during a Joint Finance Committee public hearing Dec. 3, 2018 in Madison, Wis. Here, one woman criticizes what she called "secret moves" made by the Legislature to limit the powers of Gov.-elect Tony Evers. 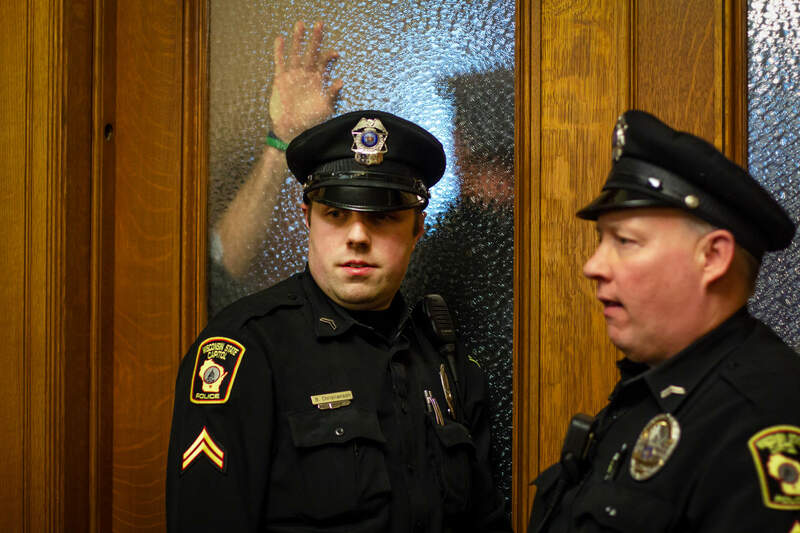 Capitol police guard doors leading into the chamber where a Joint Finance Committee public hearing is being held on Dec. 3, 2018. Members of the public bang on the doors and chant to be let into the hearing room. Tammy Wood, who was the campaign coordinator for Art Shrader, 2018 Democratic Assembly candidate in Sauk County, addresses the crowd during a Dec. 3, 2018 protest against the lame-duck bills. 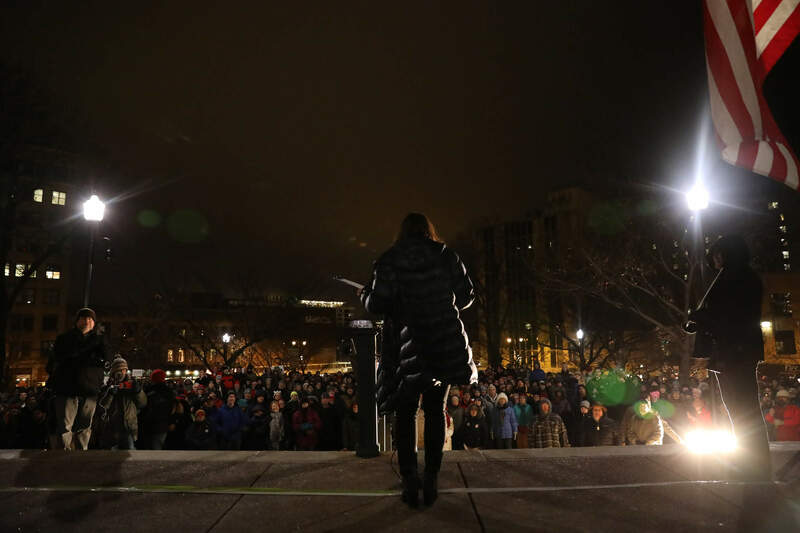 More than 1,000 people descended upon the state Capitol late Monday evening to decry what many called last-minute legislation. Senate Majority Leader Scott Fitzgerald, R-Juneau, is seen during the extraordinary session of the Legislature on Dec. 4, 2018, at the Wisconsin State Capitol. 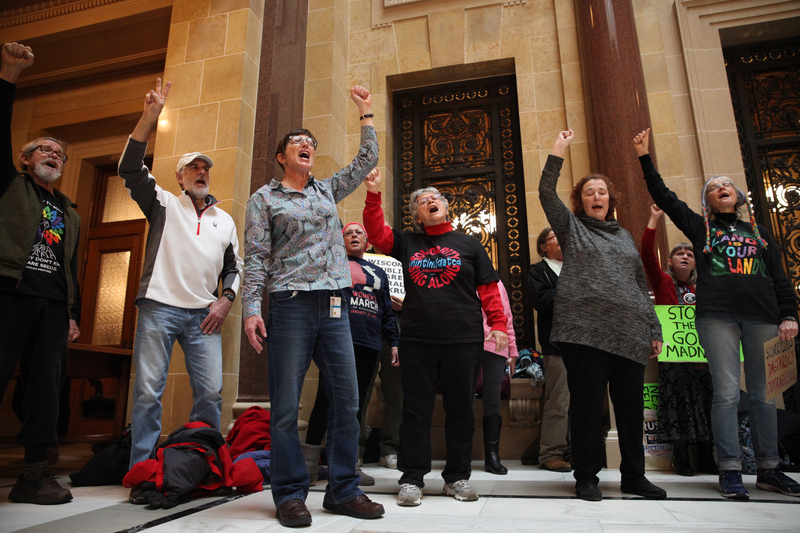 Elaine Pridgen, from Madison, center, sings protest songs along with the "Solidarity Singers" outside of the extraordinary session on Dec. 4, 2018. 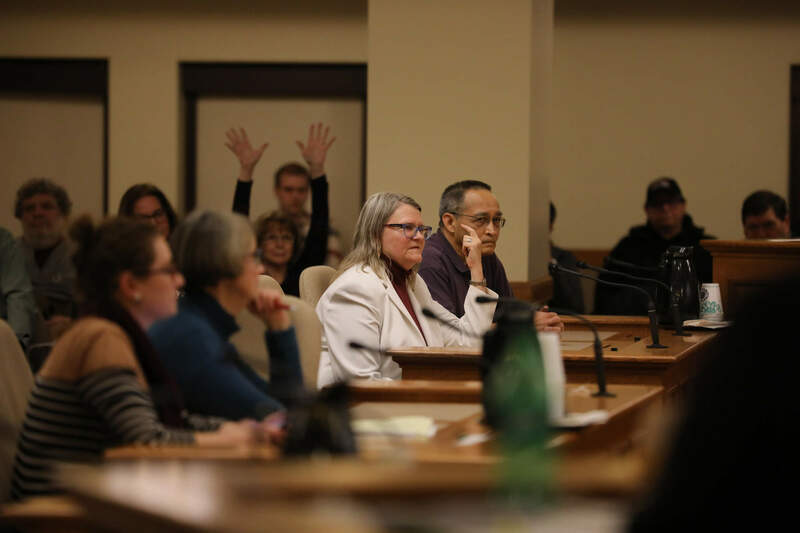 After waiting for more than three hours for the extraordinary Senate session to start, members of the public were cleared from the viewing gallery shortly after the session began by Senate President Roger Roth, who had twice warned them to stay silent. "We're going to look back on this and it's going to be a stain on the Republican majority legacy and Scott Walker's legacy" Erpenbach said. "The first thing Scott Walker did when he came through the door here at the Capitol was to create chaos. The last thing he's doing on his way out the door is to create chaos." 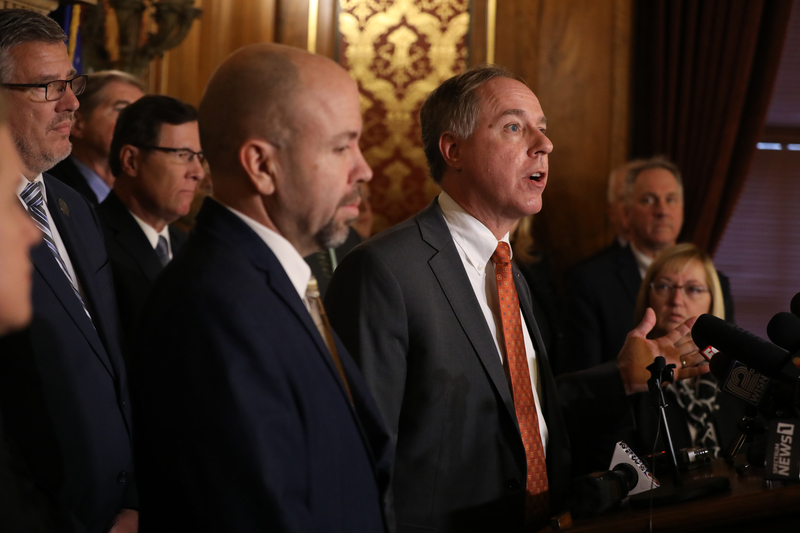 Assembly Speaker Robin Vos, R-Rochester, addresses the press ahead of the Assembly gathering for the extraordinary session. 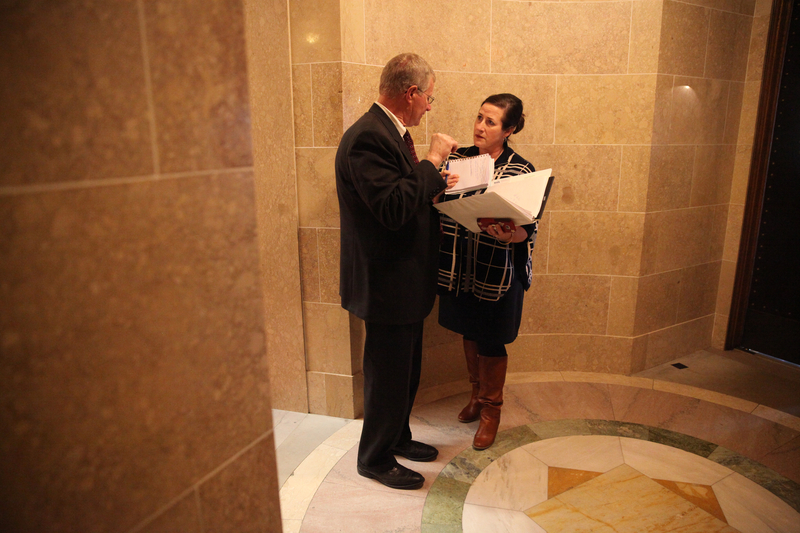 Sen. Howard Marklein, R-Spring Green, talks with his chief of staff, Katy Prange, during the extraordinary session of the Legislature. Editor's note: Photos courtesy of the Wisconsin Center for Investigative Journalism. The nonprofit Center (www.WisconsinWatch.org) collaborates with WPR, Wisconsin Public Television, other news media and the University of Wisconsin-Madison School of Journalism and Mass Communication.